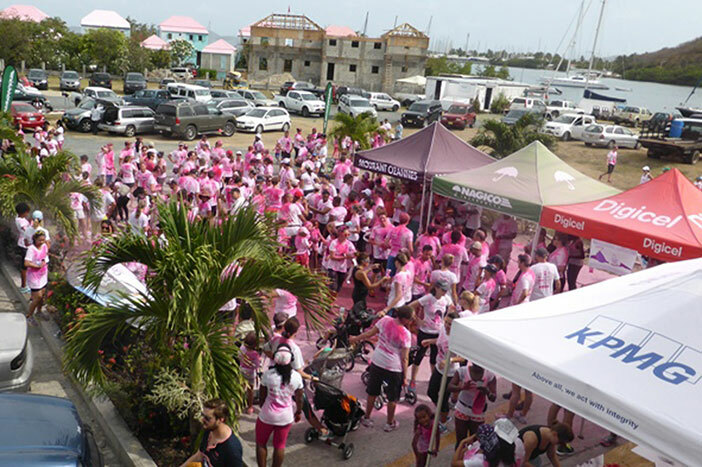 The Tortola Ladies Club participated in the 2015 Colour Me Pink 5k run/walk event that was hosted by the Sensus Health Club on Saturday May 30. Club members Janet Parsons, Susan Keeley, Patricia Dobson, Yvonne Remington, Sharon Burrell, Carol Siminoff, Carolyn Jagessar, Sarah Hatcher and Beverly Ruebeck entered the event and walked in support of the worthy cause. 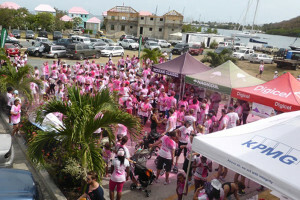 This is the ninth edition of Colour Me Pink 5k run/walk.